About a month or so ago, Dan & I were doing our weekly shopping and skirting the tool section in our local Wal-Mart when I caught a glimpse of purple down an aisle. At first I thought this was an unusual color to see in a tool section, so it beckoned me to come. As I approached, I saw this canvas bag, trimmed in more of a lavender than purple, but I’m not one to quibble about that when it’s in my favorite color family. I opened it, saw a number of clever side pockets for storage, inspected the way it was constructed, discovered a handy little side storage pouch, plus another zippered pouch for storage too. I loved it. Of course I bought one! They run about $10 and I don’t think you can beat the value. It’s pretty awesome as far as I’m concerned. It’s absolutely perfect for taking the right amount of tools when I go for a lesson at Lexi’s or a workshop at one of the local metal studios. I could not be happier with this convenient bag to transport tools. Lexi uses a Plano fishing tackle box and hers is great. However, they no longer manufacture that model so I tried in vain to find something close to hers. Well, I found one, that worked sort of, but it was just so frustrating to use and didn’t work well for transporting files, pliers, metal, sand papers, etc. Now that I have this tool bag, I can pack it as needed for whatever metalsmithing class I’m taking. This is a view of the inside of mine. 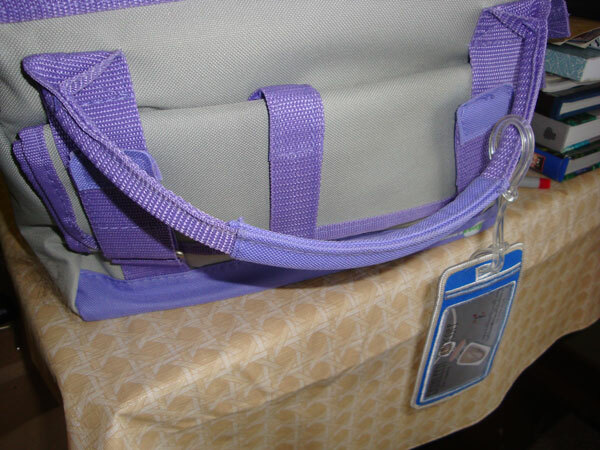 The zippered opening is reinforced with a metal frame so it opens like an old fashioned doctor’s satchel. Perhaps that’s part of what appealed to me? It’s great to have that nice wide opening. 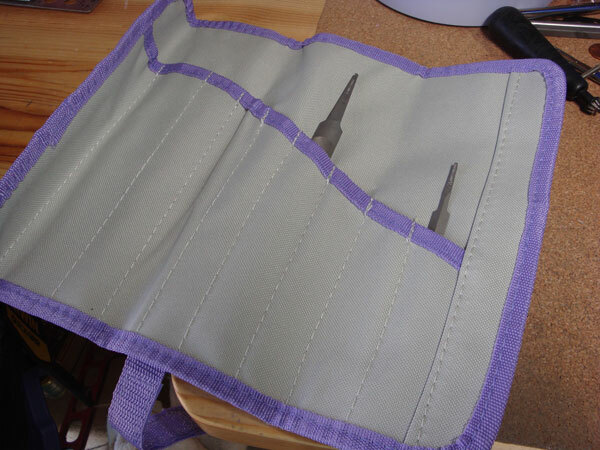 From this angle, I’m trying to show the interior side pockets that work well for holding pens, pencils, smaller sheets of metal, pliers, and more. And some of these side pockets have Velcro to hold things in place. 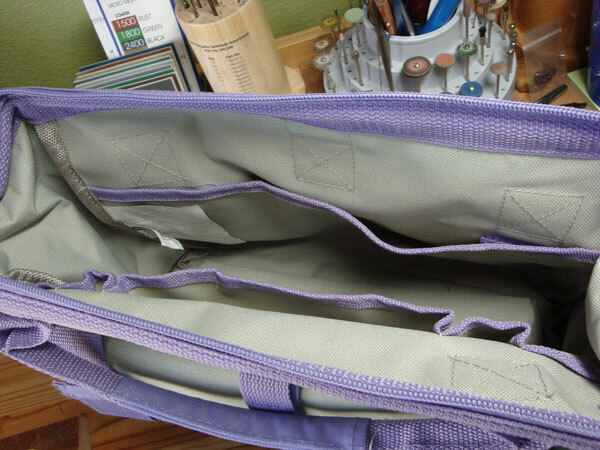 The bag is approximately 12″ long and I have been able to fit a 12″ ruler in there without any problems. 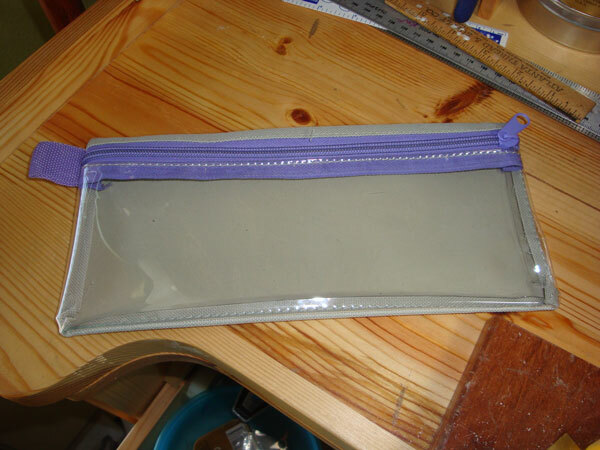 The opening is roughly 5″ wide so it’s very easy to take things in and out. This is another pouch that comes with the bag; it fits inside the bag. I’ve used it for pens and pliers. There is clear vinyl so you can see what’s inside. Just a convenient way to know where things are. Another folding tool holder on the outside. It’s held in place by Velcro fasteners. This little side pouch is perfect for holding my files. You can see I’ve added a little luggage tag with one of my business cards. Just an easy way to have your identification on the bag. I just love the convenience of this tool bag system. It helps keep things well organized in preparation for a traveling to a class or as you are cleaning up after a class. I find it makes it so simple to inventory what you took and make sure you don’t leave without all of your precious tools! Stanley also has a line of the hard sided tool boxes in this same family. I’m tempted, but I don’t really feel I need one in addition to this nice canvas tool carrier. I’m sure it’s a matter of personal preference. I have not found these available on Wal-Mart’s website, but they still can be found in their stores…at least our local stores still carry them. And I’m fairly certain that Stanley tools will help you find a store that carries them as well. I think they are a pretty valuable addition to the tool arsenal…even if it isn’t a tool, it carries and organizes them very well. There’s an addendum to add to this post that I know you will enjoy, but that will have to wait until another Talkin’ Tools segment. 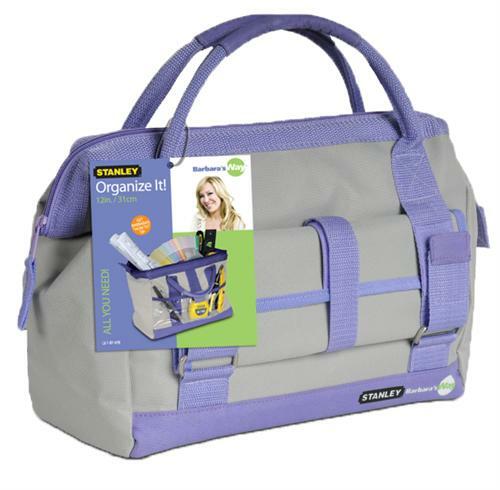 For this post, I wanted to focus on Barbara’s Way Tool Bag by Stanley tools. I highly recommend it.